Sultan Mountain (13,368 ft) on the left, Bear Mountain (12,987 ft.) at high right, the Needle Mountains in the distant shadows, and the Grenadier Range in the left distance. 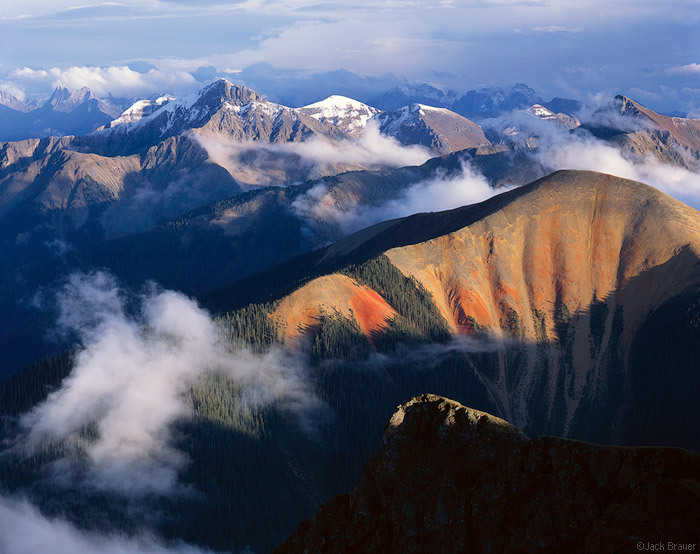 As seen from almost 13,000 feet, above Silverton, after as a September snow storm cleared. Photo © copyright by Robert Anderson Gallery.